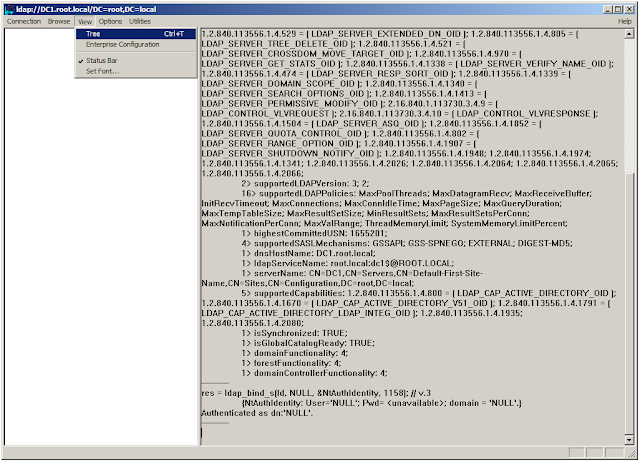 Today's is on LDP.exe, a helpful free tool from Microsoft that can be used to perform LDAP operations in Active Directory. 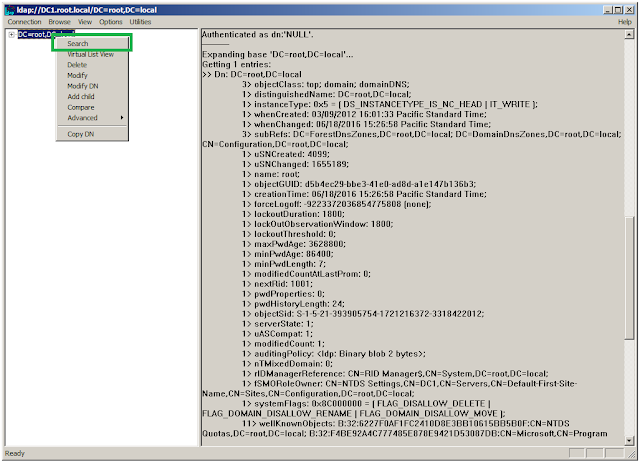 Technically speaking, LDP is a simple Lightweight Directory Access Protocol (LDAP) client that allows users to perform various operations (connect, bind, search, modify, add, delete) against any LDAP-compatible directory, such as and including Active Directory. It can also be used to view replication metadata and Active Directory security descriptors. 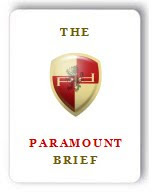 By the way, this primer shouldn't be new stuff for many folks, but the world's a big place, and so while 1000s of IT personnel likely use LDP, 100s of 1000s of IT personnel, including many cyber security professionals, may have yet to discover LDP.exe. 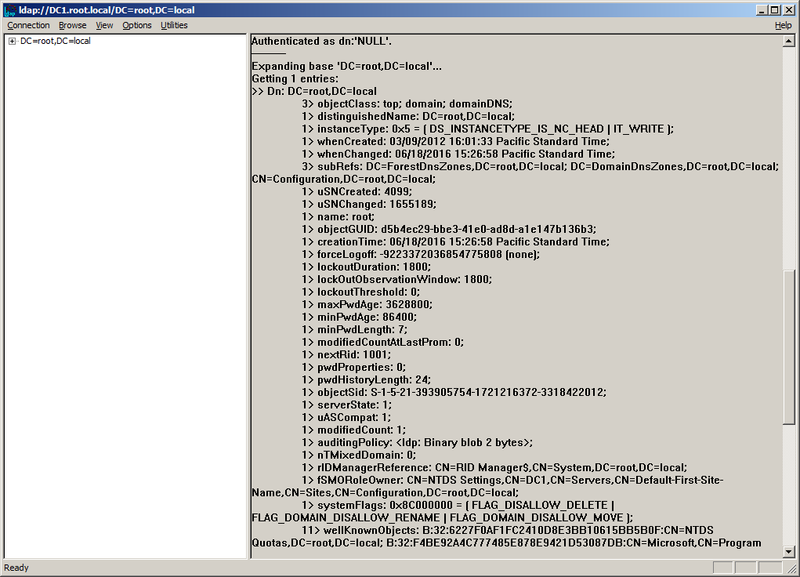 Tip - LDP.exe is a nifty tool, especially for Active Directory analysis. However it requires some Active Directory technical knowledge. If you don't want to deal with the technicals, or don't have the time to ramp up on the technicals, and are primarily interested in its search capabilities to perform basic yet essential Active Directory security audits, as an alternative/addition, this free Active Directory Audit Tool could save you a lot time and effort. LDP.exe is fairly easy to use, but it requires you to have some basic technical background on LDAP, Windows Security etc. 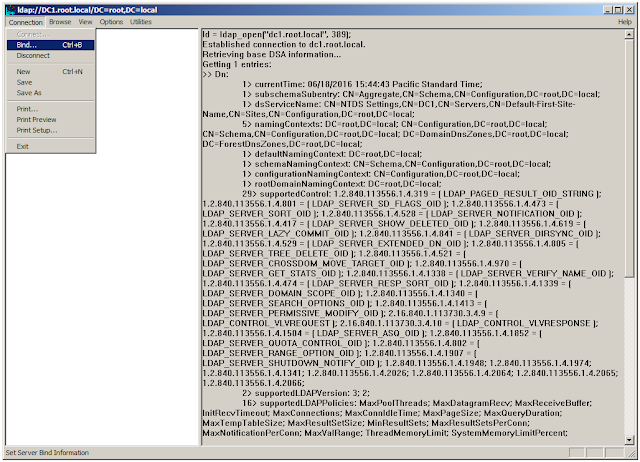 Connect to an Active Directory domain or Domain Controller, after launching LDP.exe. To help you get started and become acquainted, I've illustrated these steps below step-by-step. 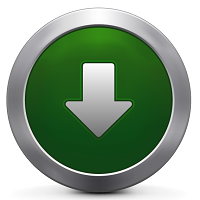 Once you've downloaded LDP.exe, just double-click on it to launch it. Then, the first thing to do is connect to Active Directory. 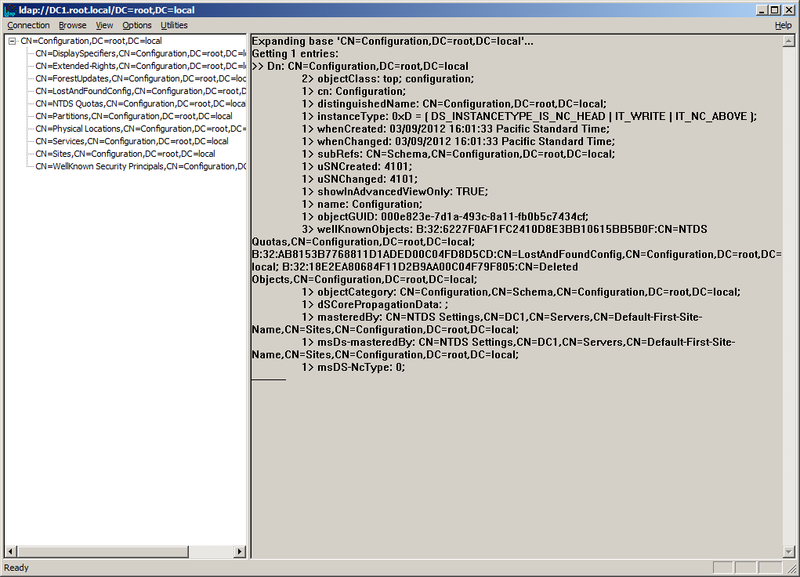 To connect to an Active Directory domain, you launch LDP.exe, then select the Connection item from the application menu on the top to locate and click the Connect option, which displays the Connect dialog box. 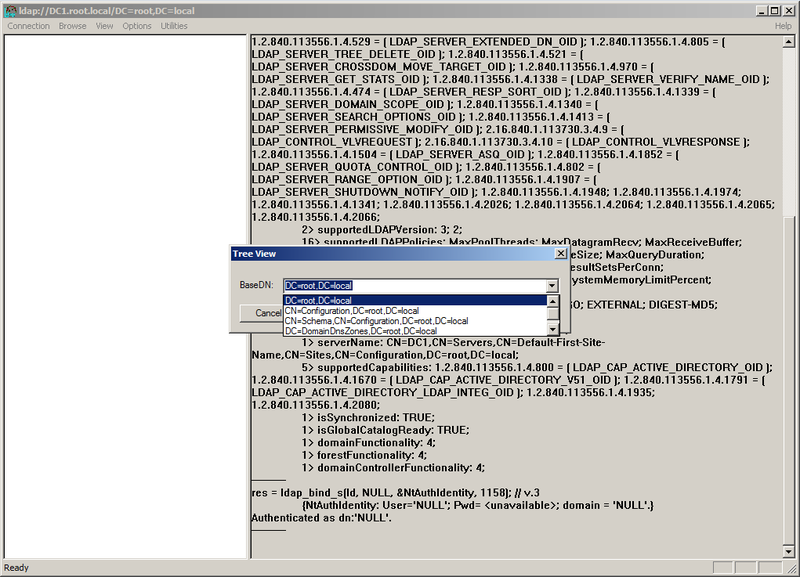 In the Connect dialog box, you specify the Active Directory domain or domain controller you wish to connect to, by entering its complete domain DNS name (e.g. root.local, dc1.root.local etc. ), as well as the port you'd like to connect on (389 for LDAP and 3268 for a Global Catalog), and optionally, whether you'd like to use SSL. 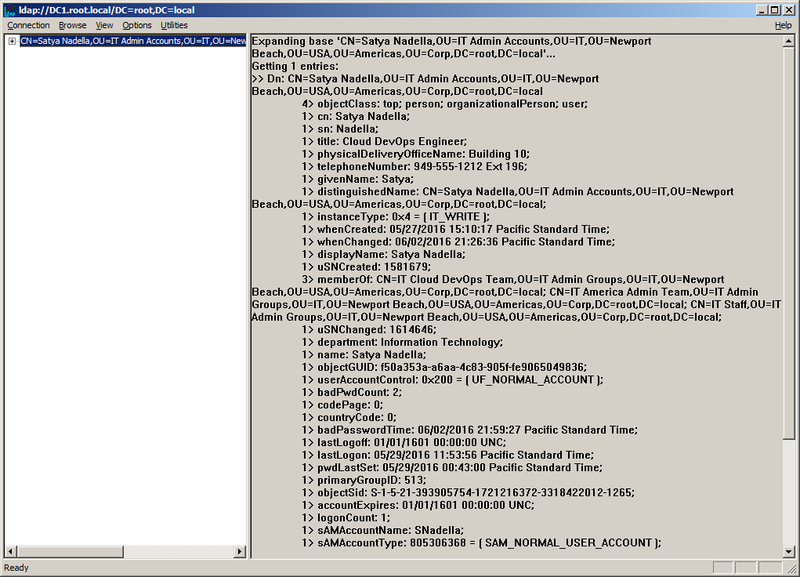 Once connected, LDP.exe will display the root of the directory data tree on a directory server, i.e. the value of the rootDSE attribute which includes various nuggets of valuable technical information. 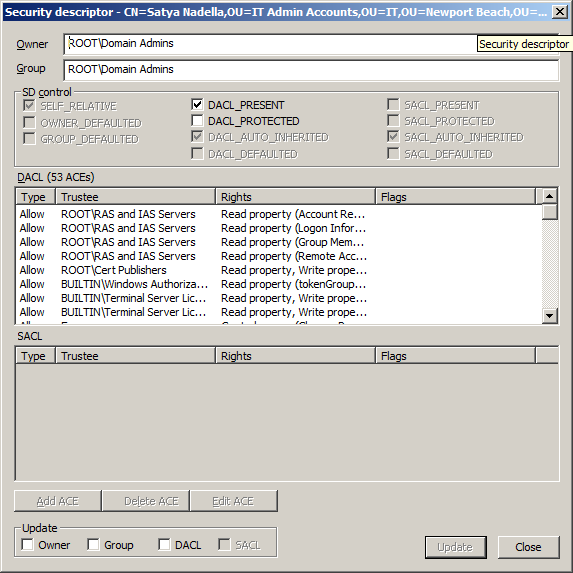 Specifically, rootDSE is an operational attribute that provides helpful information about the Active Directory domain (and domain controller) to which it is connected, such as the current time on the DC, the domain and forest functional levels, the SASL mechanisms supported, the LDAP policies and controls supported, whether the DC is also a Global Catalog etc. You are now connected to an Active Directory domain controller. Once connected, the next step is to perform a successful bind i.e. to authenticate yourself to the Active Directory. 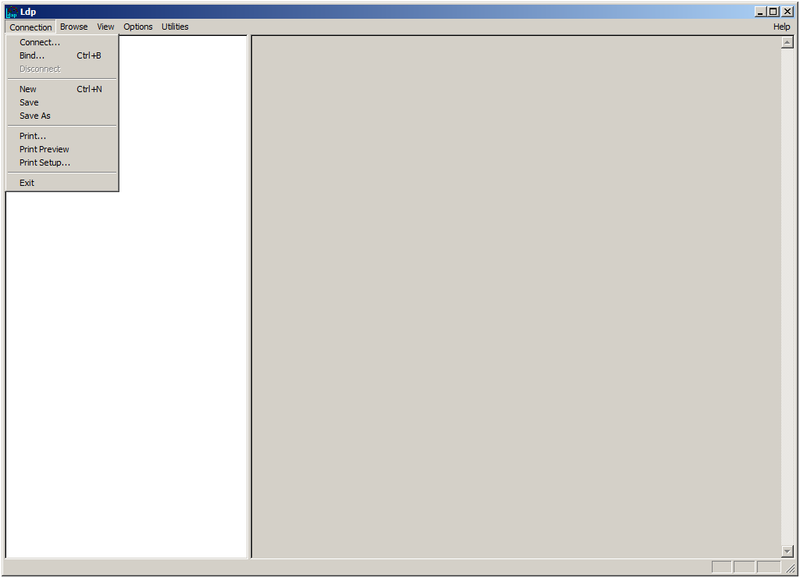 To perform a successful bind, you select the Connection item from the application menu on the top to locate and access the Bind option, which displays the Bind dialog box. 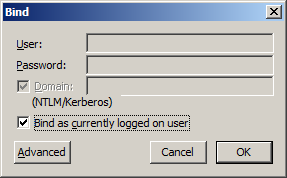 In the Bind dialog box, you enter your credentials then click on OK. You can enter your credentials in various formats (e.g. UPN, <domain>\<samAccountName> etc.). If you're logged in using a domain user account and are connecting to an Active Directory domain to which a trust path exists from your domain, the simplest way to bind is to use the Bind as currently logged on user option. If successfully authenticated, LDP will indicate so by displaying an Authenticated as DN:<identity> line in the right pane. You have now successfully completed a bind and are ready to perform operations against Active Directory. In this blog entry, I will focus on illustrating how to view Active Directory content, perform Active Directory searches and view Active Directory security descriptors, as these are the most common usage scenarios. Tip - If you're looking to fulfill advanced Active Directory security analysis/audit needs, such as to audit privileged user access in Active Directory, determine effective permissions in Active Directory etc. you may find this helpful. 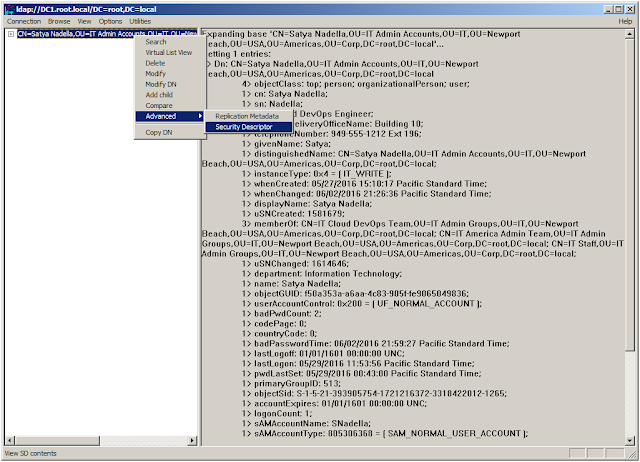 Once you have performed a successful bind, you can perform various operations against Active Directory, and one of the most common ones is to view Active Directory contents, such as to view all attributes on a specific user account. To do so, you select the View item from the application menu on the top to locate and click on the Tree option. 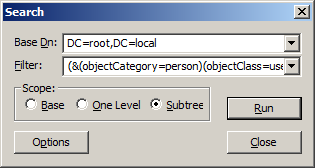 Clicking on the Tree option displays the Tree dialog box, which is used to specify the distinguished name (DN) of the Active Directory object (/base of tree) you wish to view or focus on. By default, the Tree dialog box presents a few options including the domain root of the target domain, as well as the roots of the Configuration and Schema partitions of the target forest. 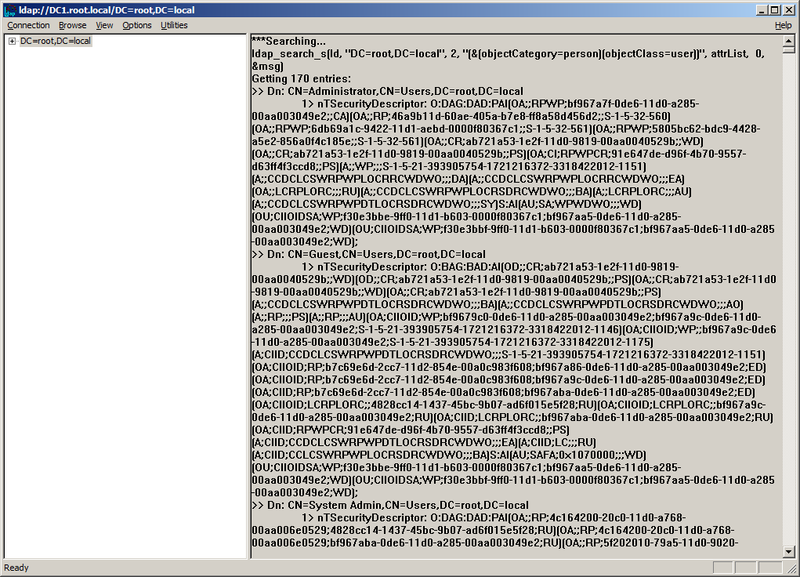 The domain root of the target domain is generally a good place to start, so simply select it and click OK. 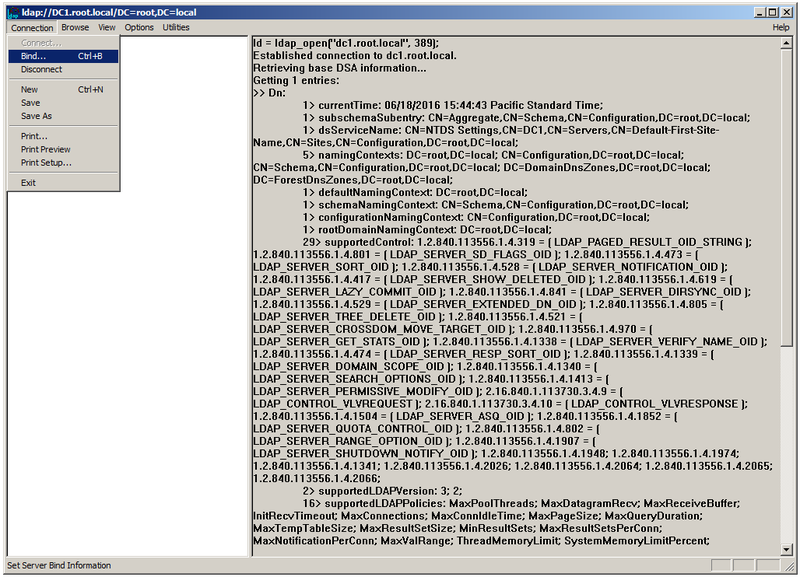 When you do so, LDP.exe will display the root of the domain in the left pane. A single-click on an object in the left pane will display the attributes (and their values) present on that object, in the right pane. A double-click will expand and display, in the left pane, the tree rooted at that object. 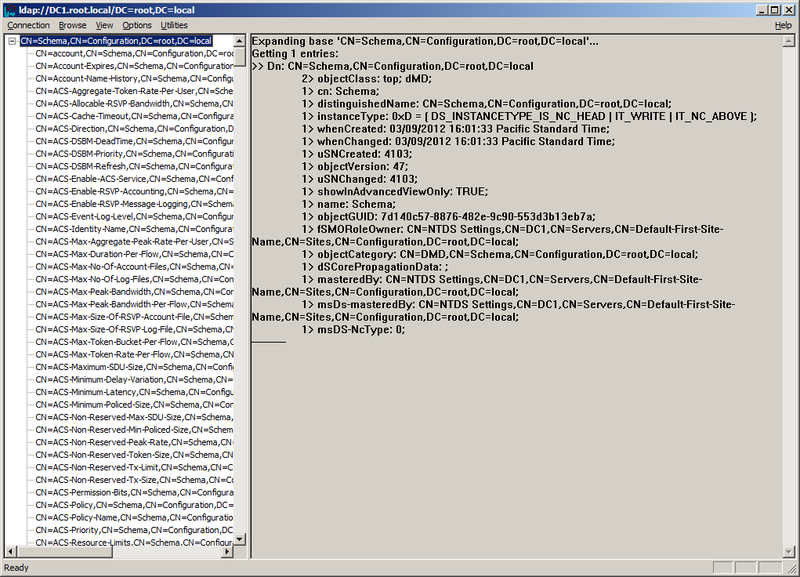 In this manner, once you know the DN of an object, such as that of a specific organizational unit (OU), a domain user account, a domain computer account, an NTDS Settings object, a SiteLink object, a Schema class/attribute object etc. that you are interested in, you can use the Tree dialog box to enter that object's DN and have LDP focus on that object. 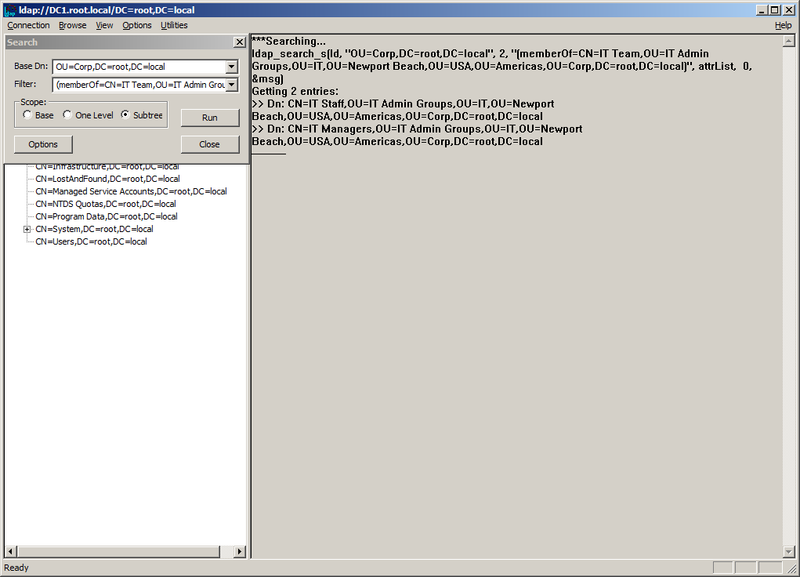 Tip - The quickest way to find the DN of almost any object in Active Directory without requiring any technical knowledge is by using the inbuilt Search utility of this free tool. 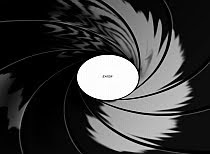 Once you have specified a target object, you can perform a variety of operations on it. 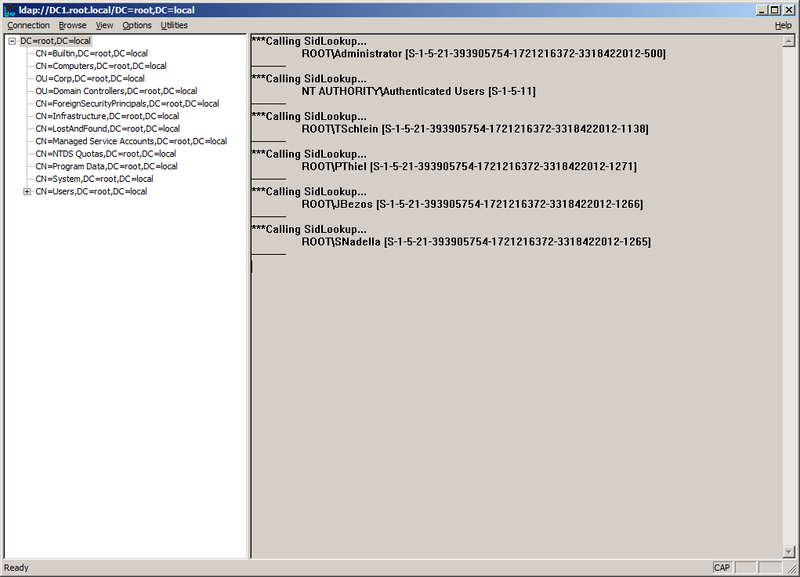 For instance, you can perform an LDAP search rooted at that object in Active Directory. To do so, in the left pane, simply locate the object that you wish to have as the base of your search, then right-click on it, to view a set of available options, one of which should be Search. Tip - Note that alternatively, you can also access the Search dialog box by selecting the General option from the application menu and then clicking on Search. In some cases, you'll also want to click on the Options button to be able to specify and set various options such as Time limit, Size limit, Timeout (s), Timeout (ms), Page size, Search Call Type, Sort Keys and Controls etc. as well as the list of attributes that you would like to have retrieved. 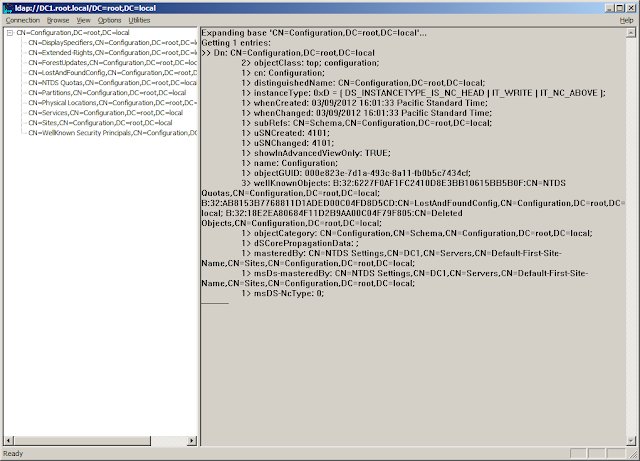 By default, LDP.exe will retrieve and display all attributes on all objects that meet the criteria of the specified LDAP filter. If you're only interested in a subset of attributes, you can specify them using the Attributes text-box. Additionally, if you merely require a summary listing of the objects (i.e. no attributes to be returned), simply enter a . (i.e. a period) in the Attributes box. 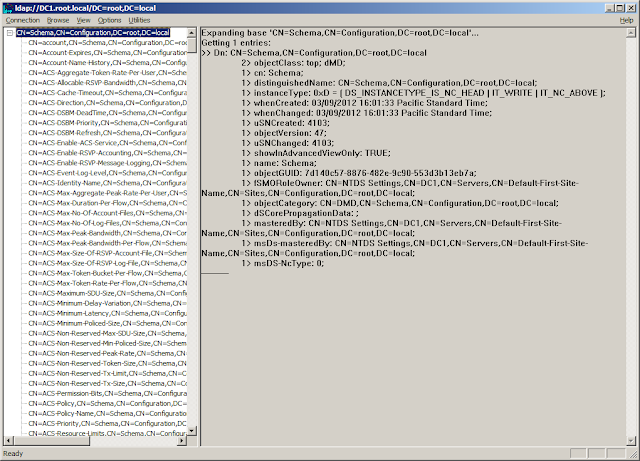 Due to lack of time, I'm not going to delve into the various details of Sort Keys and Controls, but there's sufficient info out on MS TechNet that can help you learn more about their details and uses. When you click OK, LDP.exe will perform the specified search for you and display the results in the right navigation pane. Note that if you had specified that only the DNs be returned (i.e. no attributes), the results would look like the following. In general, in order to be able to perform a variety of searches, you'll want to gain familiarity with how to define LDAP filters. 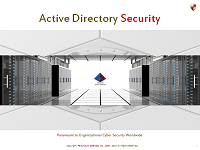 Tip - The quickest way to search for Active Directory content and perform Active Directory security audits without requiring any technical knowledge is to use the inbuilt Search utility of this free Active Directory audit tool. LDP can also be used to view the NT Security Descriptors of Active Directory objects. The NT Security Descriptor contains / specifies the object's Owner, Group, ACL and SACL. Most IT professionals seek to do so to fulfill a variety of Active Directory cyber security analysis needs, such as those outlined in the 10 Helpful Time and Effort Saving Pointers section below. 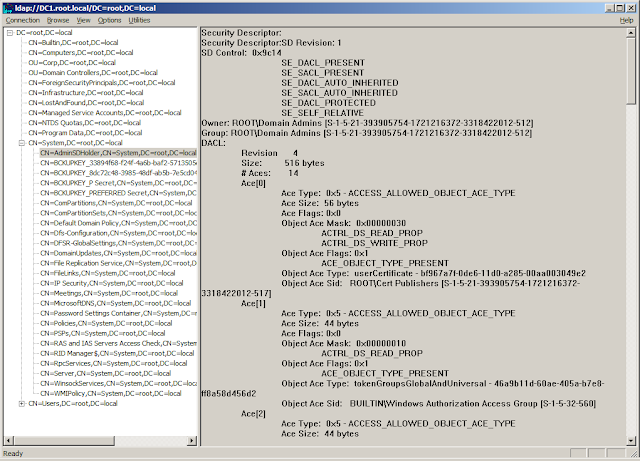 Tip - You may find that one of the easiest and quickest ways to view, analyze and dump/export Active Directory security permissions and access control lists (ACL) is by using this AD acldump tool. 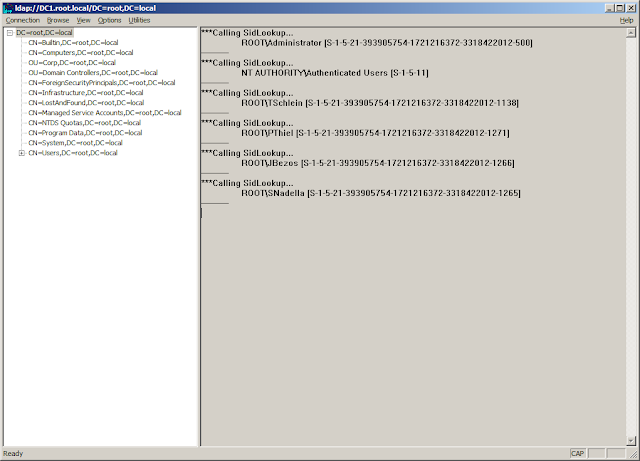 Consider the following Active Directory object. Lets see how to use LDP to view its NT Security Descriptor. SACL - If selected, LDP will additionally* retrieve the object's SACL. 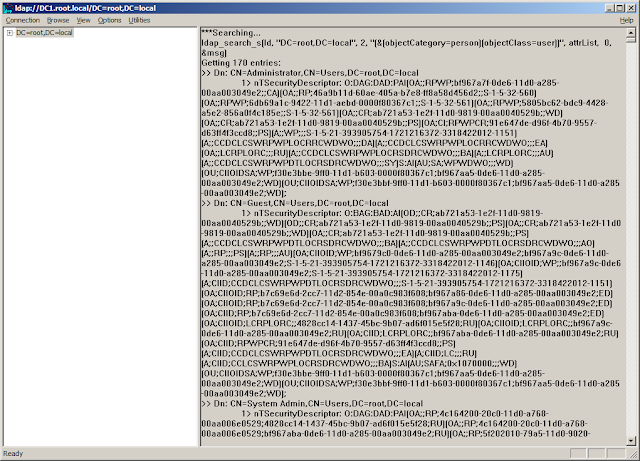 Text dump - If selected, LDP will dump the security descriptor as text in the right pane. * To view the SACL, you'll need to be effectively granted the Manage auditing and security log user right in the resulting Group Policy applicable to that domain controller (typically the default Domain Controller policy). You specify these options as required, and then click OK. 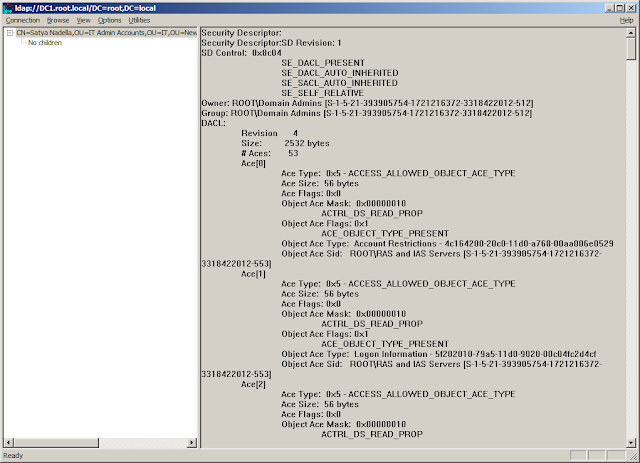 When you do so, LDP.exe will retrieve and display the Security Descriptor of the target object. 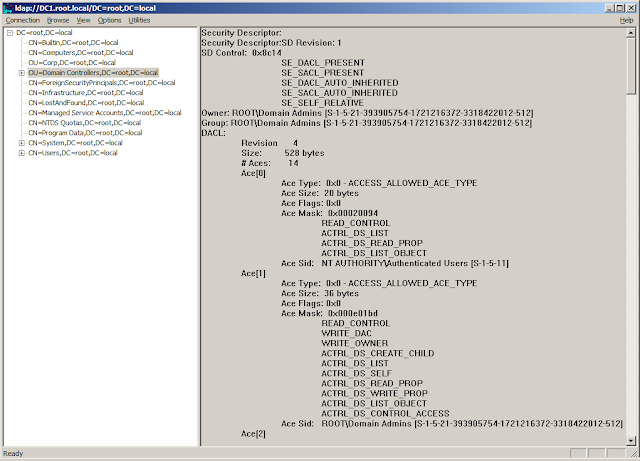 By default, the security descriptor is displayed in a special Security Descriptor dialog box. 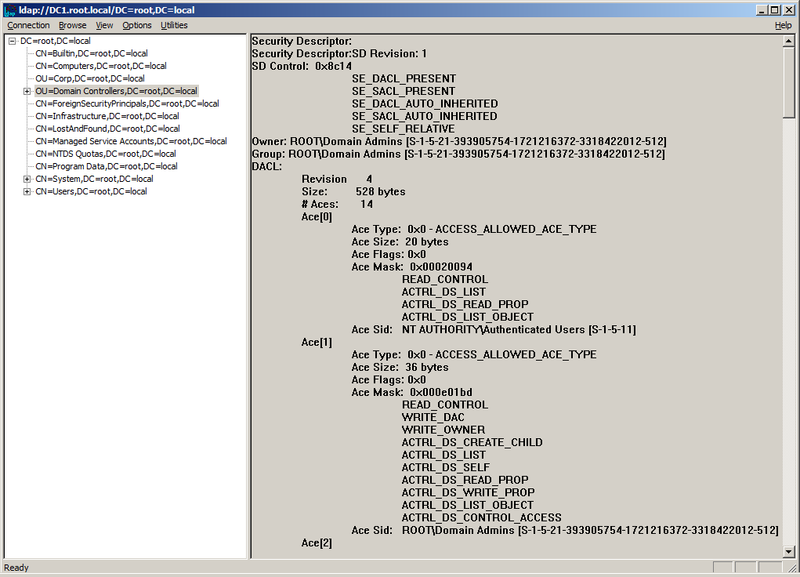 If the text dump option is selected, the security descriptor is displayed in text format in the right navigation pane. 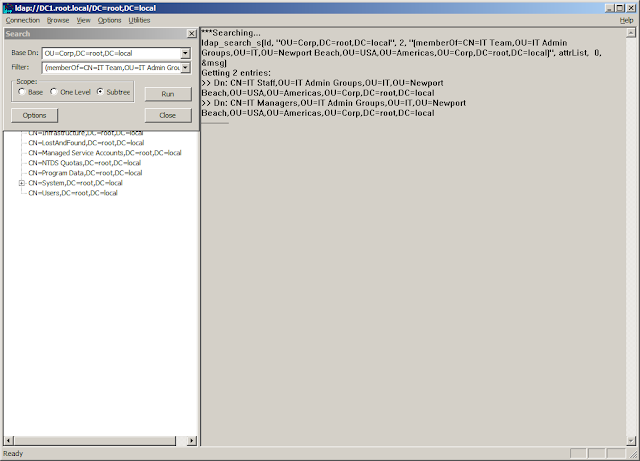 Security for "CN=Satya Nadella,OU=IT Admin Accounts,OU=IT,OU=Newport Beach,OU=USA,OU=Americas,OU=Corp,DC=root,DC=local"
Helpful Tip - If you need to dump/export Active Directory ACLs, or easily and quickly analyze them, the easiest and fastest way to do so is by using this AD acldump tool. 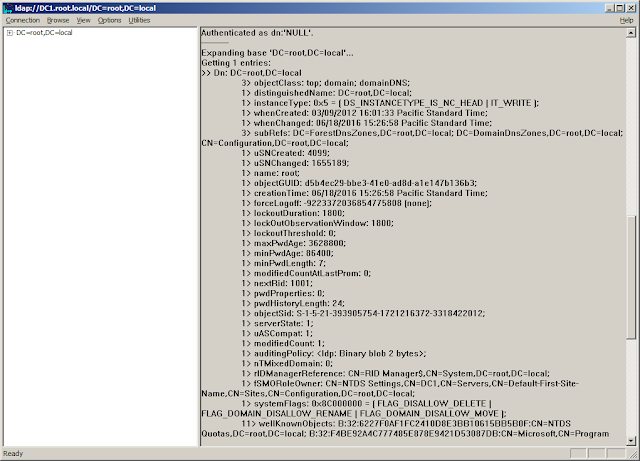 In this manner you can view and analyze Active Directory security descriptors using LDP.exe. 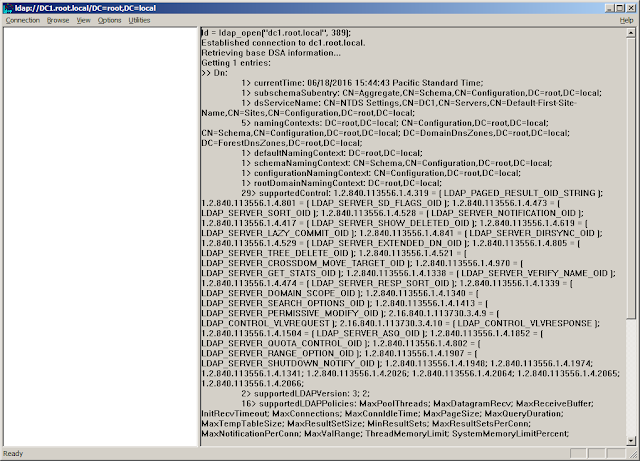 The following snapshots illustrate some common uses of LDP.exe. Tip - If you need to generate reports such as List of all active, stale, expired, locked, executive, administrative user accounts in a domain/OU etc. 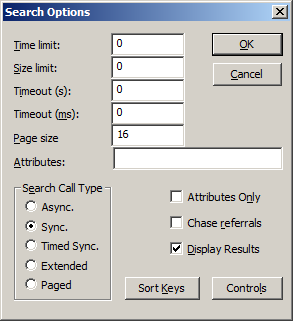 or export this data to a CSV file, or generate a PDF report, the easiest way to do is by using this AD audit tool. 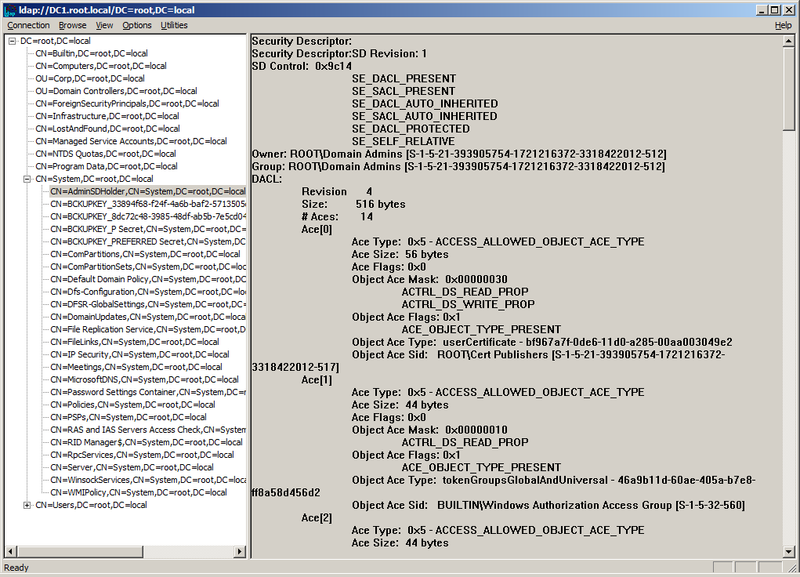 Tip - If you need to find out who has what effective permissions/access on any object in Active Directory (e.g. administrative accounts, groups etc. ), the only way to accurately do is by using this Active Directory Effective Permissions Calculator. Tip - If you need to find out exactly who can control and manage the security on the Domain Controllers OU, or change the Group Policies (GPOs) linked to it, this tool can help you do so, instantly and accurately. Tip - If you need to know exactly who can modify an existing class or attribute definition in your Active Directory Schema, or extend your Schema, this tool can help you find this out, instantly and accurately. 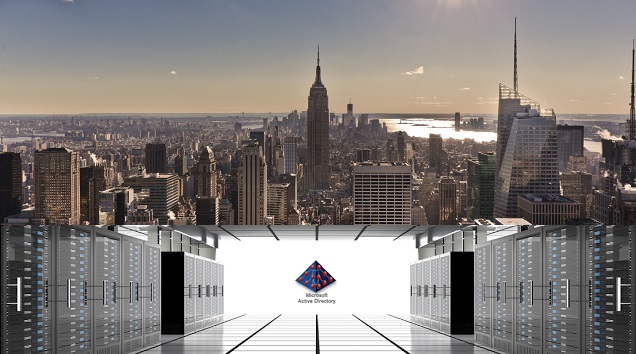 Tip - If you need to know exactly who can modify critical content in your Configuration partition, such as creating, modifying or deleting Sites, Subnets, Sitelinks, IP Transports, NTDS Settings objects, Query Policies etc., this tool can help you find this out, instantly and accurately. Tip - If you need to lookup accounts SIDs, or find Active Directory domain user accounts, computer accounts or security groups based on criteria such as their name, title, operating system, manager etc., one of the easiest ways to do so is by using the inbuilt object search utility of this free Active Directory audit tool. Tip - If you need to dump the ACLs of multiple Active Directory objects (e.g. 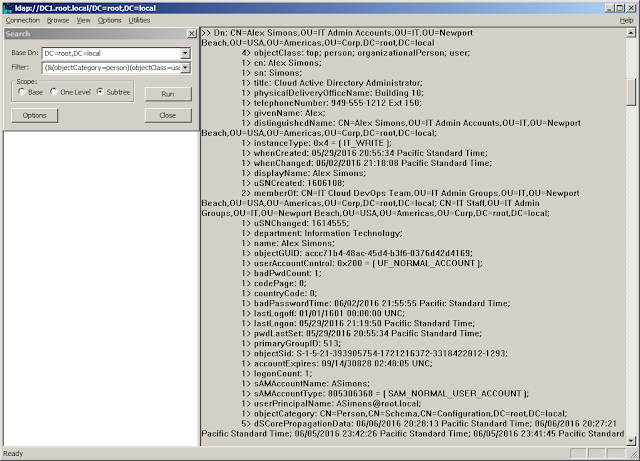 all objects in domain, all admin users, all executives, all security groups etc.) into a CSV file, the easiest way to do so is by using this tool. Tip - Although LDP can enumerate direct group memberships, it is unable to enumerate and display the complete, flattened out membership of a specific group, or the list of all groups to which a user belongs. If you need to fulfill either of these needs, here is the easiest way to do so. 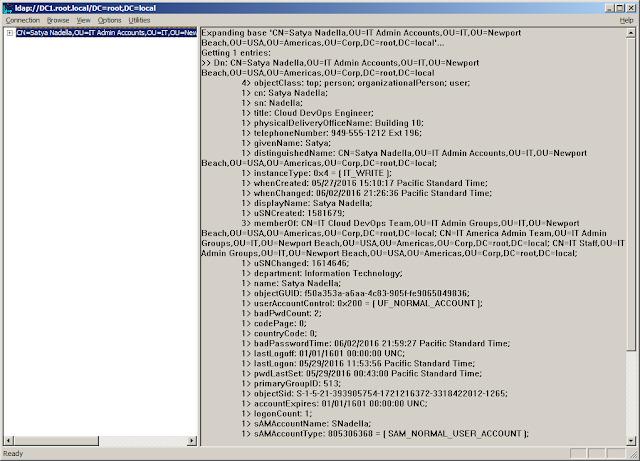 In this manner, LDP.exe can be used to query Active Directory content and analyze various operational and security aspects. You can clear the contents of the right pane by using Ctrl-N.
You can copy contents from the right pane by right-clicking and using Select All, then Copy. You can export the data from the right pane by using the Save-As option. You can increase the buffer size for the number of rows displayed in the right pane by modifying the value for the Number of Lines setting in the Buffer Size section of General Options. The default value is 512. In general, as you gain familiarity with the tools, you'll likely discover similar helpful tips. If you've read this far, you're likely an IT professional focused on Active Directory or Cyber Security. If so, not only is your time valuable, you know that high-value cyber security insight into your Active Directory is paramount to your organization's security. 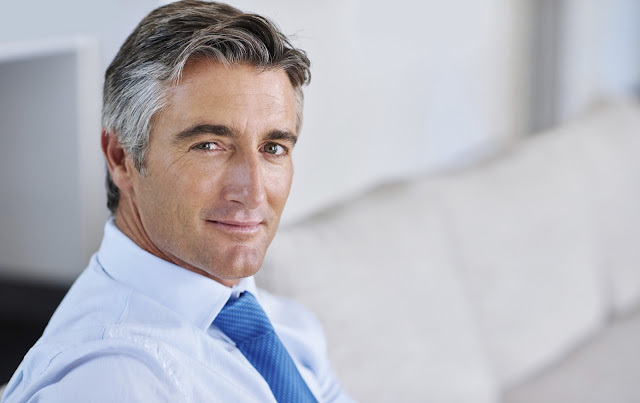 You may also likely know not just the benefits of LDP, but also its limits. Specifically, while there's much you can do with it, there also a lot you cannot do with it. For instance, many needs listed below cannot be fulfilled with LDP.exe or most tooling. 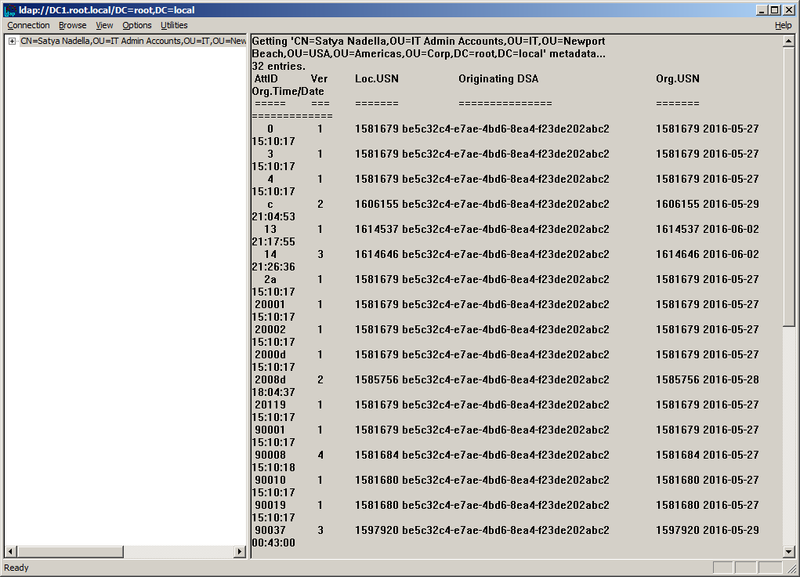 The first time I used LDP.exe was about 16 years ago. If you've spent even 1/10th of the time I've spent on Active Directory security, I think you'll find these pointers could help you and your organization save 1000s of hours of valuable time. I hope you've found this little intro to LDP to be useful and I wish you all the best as you proceed to look under the hood and increase your knowledge in the vast subject that is Microsoft Active Directory.